One of the most popular, widely known tyre producers, we are delighted to offer Sava range here at Tyre Centre. Readily available in a variety of styles, our Sava tyres are ideal for a host of requirements– from increasing the driving efficiency of your car to providing a low-cost, affordable tyre option that won’t jeopardize on safety or design. The professionals at Tyre Centre can help you choose the most suitable Sava tyre for your specifications and will then fit them for you guaranteeing lasting, reputable usage and exceptional levels of functionality. In addition, our position at the forefront of the tyre circulation market implies we are able to provide competitively low prices on all our branded tyres. At tyrecentre.ie we remove the confusion from buying new car tyres online. In the past, purchasing car tyres in the Ireland might be a discouraging experience. Given that 2009, we’ve been making it as easy as possible, whilst also offering a fantastic selection alongside fantastic cost savings. Take a look at our tyre rates today. The tyre you require depends significantly on the sort of car you drive and the kind of driving you do. If you drive brief ranges in and around town on the school run or to the local stores then economy and security will be a main concern when picking a tyre. If you do a lot of freeway driving then low sound, comfort and fuel saving might be consider assisting you find the ideal tyre. Chauffeurs with high-end automobiles and sports cars will be interested in high efficiency tyres, which use precision handling, exceptional traction and manoeuvrability at speed. At Tyre Centre we can encourage you on the best car tyre for your driving requirements, and at a low tyre cost that will not break your budget plan. Our tyre rates are the best in business– and the Tyre Centre Rate Promise suggests we will not be beaten on price, ensured. 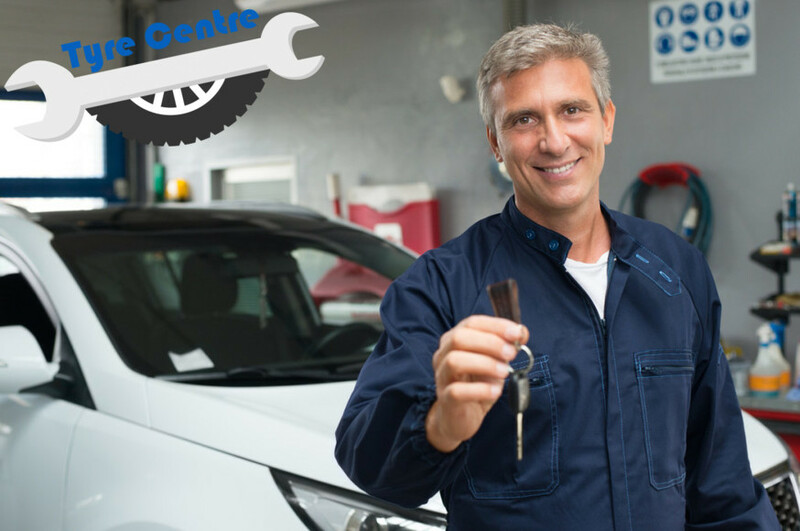 If you can discover the exact same tyre in stock in your area at a lower cost, then we assure to beat that rival’s quotation. Claims are valid versus composed quotations from any similar merchant excluding trade, internet or wholesale operations or products already on promotion and should associate with the same product, part and maker (consisting of warranties). Tyres are one of the most important components of a car. The tyre tread location making contact with the roadway is relatively little– only about the size of the palm of your hand – so if your tyres are used or harmed it can seriously impact your cars and truck’s security and handling. Not only that, if your tyres don’t meet legal requirements, you could face a fine of 2,500 euro per tyre and 3 penalty points on your licence. Tread depth should be above the legal minimum of 1.6 mm throughout a constant strip in the centre three quarters of the tread and around the whole tyre circumference. At Tyre Centre, we support the 3mm project which suggests motorists replace their tyres when the tread reaches 3mm for utmost safety when driving especially in the damp at high speeds. Tyres need to be correctly inflated inning accordance with the car producer’s recommendations in the vehicle handbook. Over-inflated tyres trigger excess wear, shortening tyre life and can result in an uneasy flight; under-inflated tyres result in increased fuel usage and faster wear of the tread shoulders plus increased opportunity of effect damage. You must also examine the general condition of your tyre for any sign of bumps, bulges or cuts which could trigger a blow out when driving. Tyre Centre advises that drivers inspect tyre tread depth, condition and pressure on a month-to-month basis and prior to any long journeys– and if in doubt, come into your regional Tyre Centre branch for a complimentary tyre security examination. For more information, visit our tyre information pages. The Sava (/ˈsɑːvə/;Slovene pronunciation: [ˈsàːʋa],Serbo-Croatian: [sǎːʋa],Serbian Cyrillic: Сава) is a river in Central and Southeastern Europe, a right tributary of the Danube. It flows through Slovenia, Croatia, along the northern border of Bosnia and Herzegovina, and through Serbia, discharging into the Danube in Belgrade. Its central part is a natural border of Bosnia-Herzegovina and Croatia. The Sava forms the northern border of the Balkan Peninsula, and the southern edge of the Pannonian Plain.